The Stronger Brand – Harry Potter or Rick Grimes? Fun or just the facts? When Ryan Rhoten interviewed me for his podcast, it was more of a conversation and storytelling between two friends over coffee (since we’ve known each other for a while from #brandchat – a weekly chat every Wednesday about branding). He asked me – who do you think has the more powerful personal brand – Harry Potter or Rick Grimes? He knows that I’m both a Potter and Walking Dead fan and devoted to both franchises. You can listen to the “between two friends” answer and discussion here. And, it did get me thinking about the branding lessons we can learn from each. Between the seven volume series and eight movies, Harry Potter quickly became one of the highest grossing brands of all time, settling in at about $15 billion, not including any spinoffs J.K. Rowling may pursue in the future. Aside from rocketing Rowling up to become the first ever billionaire author, the brand itself is what helped take a great series and transform it into a cultural phenomenon. In terms of the Harry Potter universe, it’s the personal branding that made it more than what it was. From a book series named after a boy to everything connected to this fictional character, if it bears the moniker ‘Harry Potter’, it’s almost a guaranteed success. By studying it, we can begin to see why it’s been an unflinching leader in perfect personal branding. The Harry Potter series could have easily thrown out the boy wizard’s name for the sequel titles, however it didn’t. Each book began with Potter’s name. Each movie begins with Potter’s name. Rowling’s official site for the Potter universe uses Potter’s name. 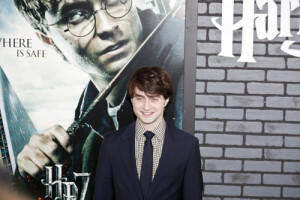 Even the fervor that gripped the country was dubbed ‘Pottermania’. Repetition is a powerful tool. It transforms your brand from something new and potentially untrustworthy to a common word that people are ostracized for not knowing. The more familiar it is, the easier it is to build up hype. Before the films ever became a possibility, Harry Potter was nothing more than a story that was gaining traction. While the first book proved it could throw out a stellar ending, it wasn’t until the second and third release that people began to recognize just how in depth and developed Rowling’s ideas for the novels were. It clearly wasn’t going to be the same story told seven different times, it was planned as one epic tale that required seven books to tell, with plots beginning in book one not being wrapped up until the finale. Rowling was experienced in her art form and because of this mastery, Harry Potter was that much easier to sell. It may have taken her a decade of struggles and hard work to get where she got to, but it was ten years of honing a skill that gave Harry Potter the gravitas it needed to explode. Harry Potter has also always stayed true to the brand. Fans of the book went to the movies and got the theatrical experience they were hoping for, especially with movies five through eight. Visitors to Islands of Adventure are met with Butter Beer, Diagon Alley, singing frogs, a wand shop and moving pictures. The line for the Harry Potter ride is filled with scenes from the movies, including the moving paintings of headmasters and the herbology room complete with wailing Mandrakes. Very rarely has the Harry Potter brand strayed from what fans expect it to be. Instead, the Potter empire built itself on top of what was already a bestselling work by enhancing what was already popular about it. When Harry Potter first started gathering worldwide attention around the release of the third book, it unsurprisingly ran into groups of people that denounced it for promoting black magic and the worship of the occult. Instead of actively trying to crush these naysayers, the Harry Potter brand embraced them, welcoming everyone to read the books in order to form their own opinions. In the end, this worked as a catalyst to further pull in interest from the public. Neutral parties enjoying the exchange took to reading the books to see just why certain religious factions were throwing fits. More importantly, it got even more adults to read it, widening the audience gap considerably. The everyman has been a trope in Western storytelling since the beginning of stories. It’s very easy to place yourself in the shoes of a character specifically designed to relate to as many people as possible. Through their eyes, we see a world we’ve never seen, get to ask the questions we would ask and otherwise find a way to survive in an alien landscape. Such is how it is with Rick Grimes, the protagonist of both The Walking Dead comic series and television show. Once a sheriff with a wife and child, he falls into a coma after a shootout and wakes up as our eyes during a zombie apocalypse that has besieged the world. While an everyman, Grimes isn’t 100% good. Though he works as hard as he can to stick to morals in a world where depravity exists everywhere, sometimes he makes good decisions, other times he makes poor ones. This continual internal conflict, however, is a big reason why Grimes is rated as one of the top 30 comic book heroes. Even the actor portraying him, Andrew Lincoln, has received much critical acclaim. In short, his magnetic personal brand derives from the fact that he is a flawed human trying to do his best, a struggle we can all relate to, the very essence of the everyman. From the beginning, Grimes has never been a shining example of humanity. From the comic book to the TV series, he has always had a haggard, world weary look about him, and this is on purpose. His personal brand is that he is not perfect and that includes physically as well. He is not Clark Kent nor does he ever try to be. Beyond this, Grimes’ strong personal brand also pulls from the fact that his story is told within the realm of reality. Physics are not broken. Aliens don’t invade. There is no magic. While not a happy story, it nonetheless paints a picture of an incredibly viable real world that we could all wake up tomorrow facing. In the middle of it all is Grimes. He is nothing more than an aging man trying to stay alive during such dark times. He’s somewhat charismatic but more practical. He suffers grievous wounds both physically and emotionally. Yet through it all, he remains human. Rick Grimes is a strong personal brand more in tune with adults. Faced with responsibility, a scary new world and the fear of death, it’s his drive to keep living that endears us to him, always accepting him as a hero even though he slips up occasionally. And while he doesn’t play games on flying broomsticks or travel through space, his brand’s power comes from the simple fact that even against such soul crushing odds, he continually shows us what it means to remain human in a world besieged by monsters. Harry Potter, though a fictional boy wizard, is nonetheless one of the best examples of personal branding done right. Family-oriented, based on good writing and otherwise always delivering to the fans what they ask, it’s no surprise that he helped usher in the craze of books turned into successful movies that followed in his wake. While the main series is over, the name alone is still enough to continue to draw in crowds to the Harry Potter ride, sell untold numbers of specialized wands and otherwise keep Pottermore.com an active and engaged community. Indeed, Harry Potter, the boy who once lived in a cupboard underneath a staircase, is the brand who lived.